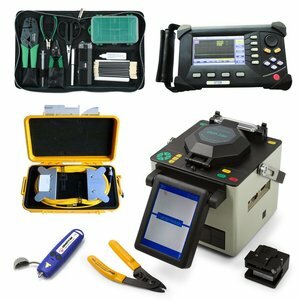 For electronics repair you will need equipment such as a fusion splicer, optical time domain reflectometer, visual fault locator, fiber launch cable box and fiber optic tool kit. We recommend the following models: DVP-730 fusion splicer, DVP-322 optical time domain reflectometer, ORIENTEK T10 visual fault locator and a Pro'sKit 1PK-940KN tool kit. When choosing these particular models you will get a 10% discount!